Home » Entertainment » Hollywood » Hollywood Buzz » Dakota Fanning Goes Brunette! Dakota Fanning is known for her blond hair, as a matter of fact it is one of her striking features. But now she has dyed her hair brunette. She surprised her fans and the media when she came for the “The Twilight Saga: Breaking Dawn – Part 2″ premiere on Monday as a Brunette, many people had a tough time recognizing her. Fanning recently finished filming “Very Good Girls” about two friends who vow to lose their virginity during their first summer out of high school. She also stars in the upcoming drama “Effie” about the relationship between Victorian art critic John Ruskin and his teenage bride Effie Gray. Perhaps she changed her locks for “Night Moves,” a film centered on three environmentalists who plot to blow up a dam. She is also starring in “Furious Angel” about a 17-year-old assassin. 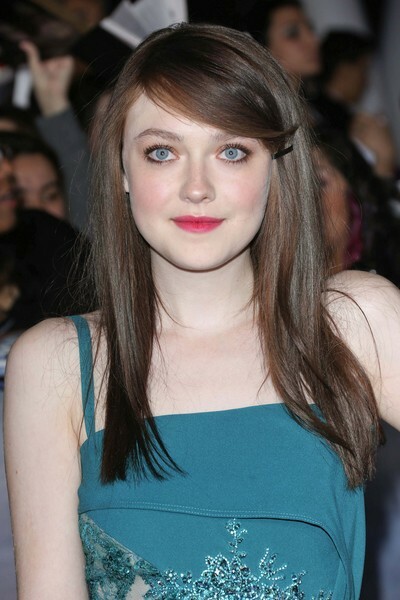 What do you think about Dakota Fanning going Brunette? I liked her as a blonde. X Factor Final a Disaster - Record Low Ratings! Previous: Why did Steven Sinofsky Leave Microsoft?? Next: Why did Selena Gomez Break-up with Justin Bieber?